How is everyone enjoying the summer? 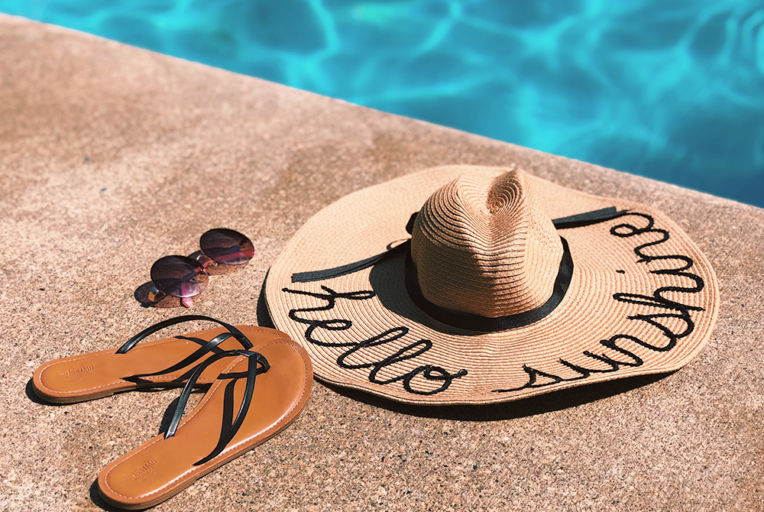 We have been SO busy, and with the insanely hot weather around here, I’m just about ready to retire to the pool for the rest of the month. Who’s with me?! 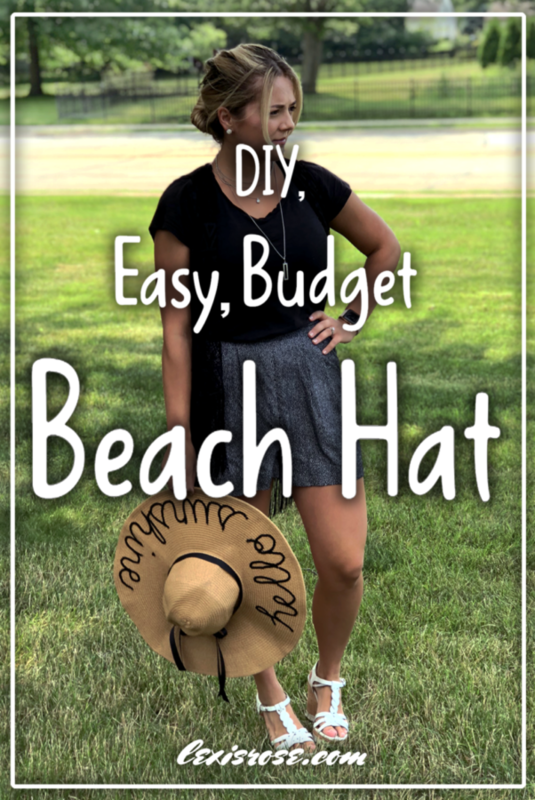 On the note of poolside topics, I am so excited to share with you this easy, budget DIY for a personalized beach hat! 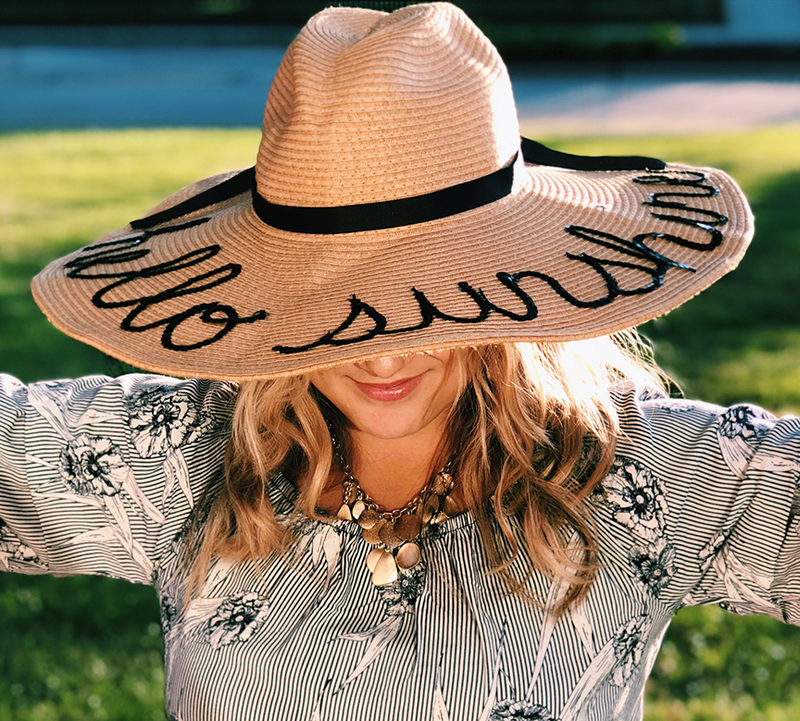 These hats are so cute and trendy – I’m seeing them everywhere! I’ve wanted one for soo long, but they can be expensive. 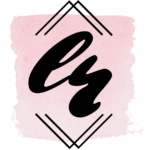 So, I decided to create my own! With just a few hours, some pocket change, and a couple of common household craft supplies, you can, too! Check out the materials list below to get started with what you need, and then take a peek at the video to see just how easy it is to create your gorgeous new wardrobe staple! 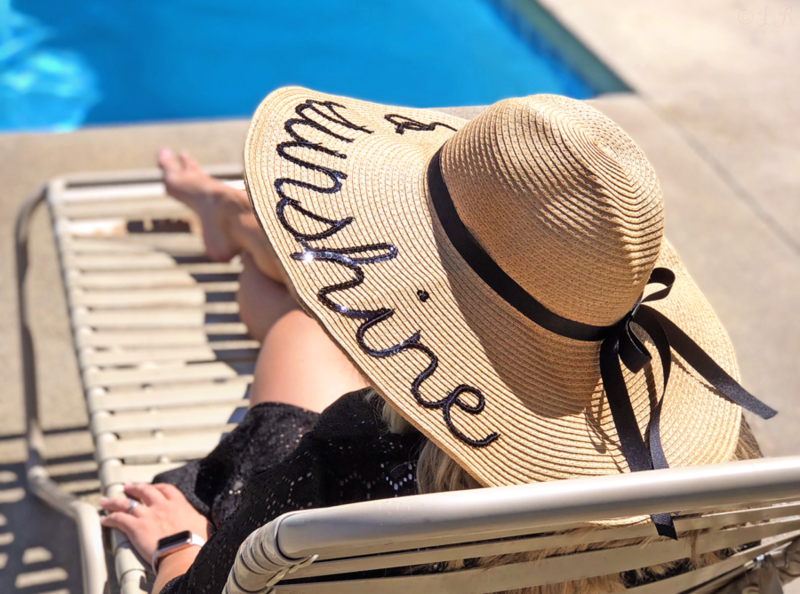 To begin, you will want to iron out any creases in your beach hat that resulted from it being folded during shipping. Be careful to use a low heat setting on the iron as the hat is made of paper and can burn easily! Take a minute to inspect your hat, and trim away any stray threads coming loose. (My hat only had one or two that needed a little snip.) 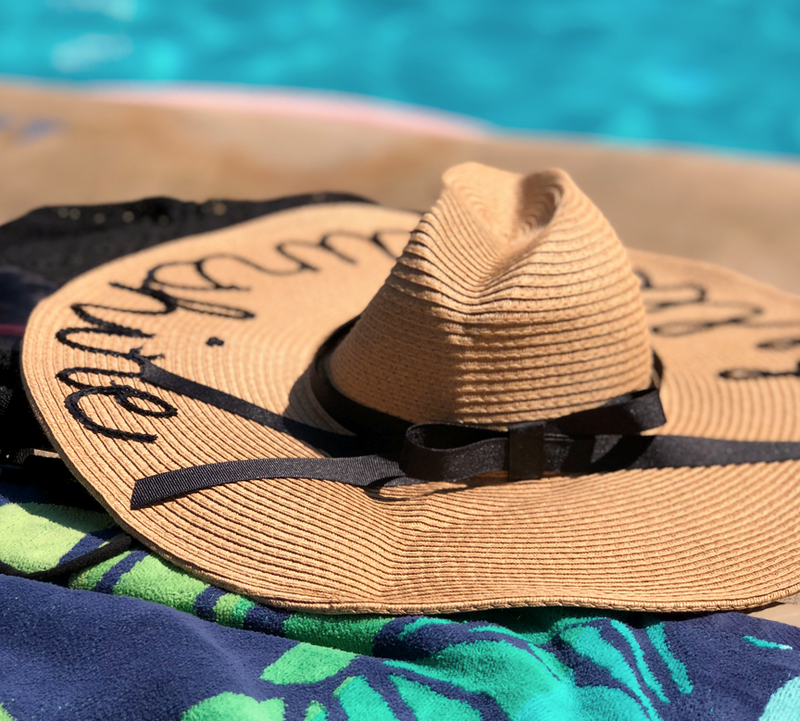 I really like the quality of this beach hat; I wasn’t sure how it would compare to the price when I ordered it, but I was pleasantly surprised! Next, place your hat on the work surface and lay three pieces of paper on the flat brim, roughly taping them together at the edges. (As you can see in the video, I started with two and realized it didn’t cover enough of the surface – LOL). Obviously, the flat edges of the paper won’t lay perfectly around the circular center, but that’s okay. This step and the next simply help you get an idea of where the words will go. 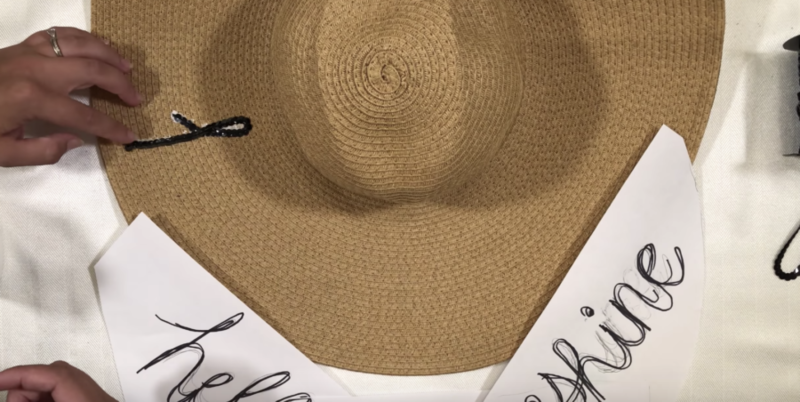 With your pencil on the paper, trace a line along the outer edge of the brim of the hat. Then, cut this shape out and discard the scraps. If you need help with your handwriting, try Googling “handwritten fonts” for inspiration. Remember, it doesn’t have to be perfect. You will have the opportunity to make changes later, throughout the process of applying the sequins. 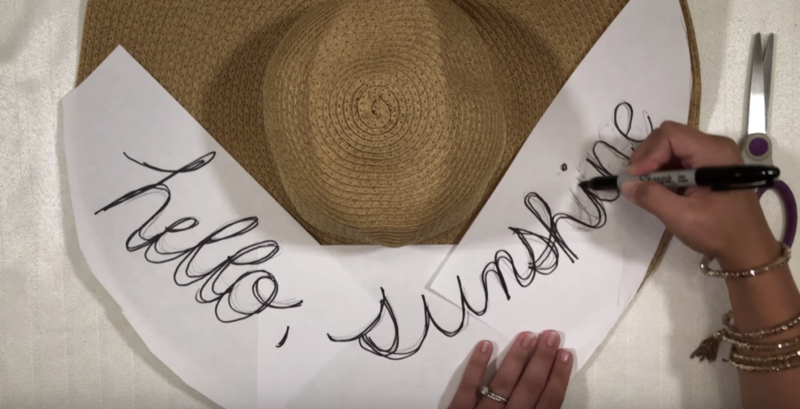 Preview the layout and spacing of the letters by placing the paper template back on the brim of the hat and make adjustments accordingly! You will see in the video, “shine” began to run together a little, so I went through a few times and lengthened it a bit until it looked right on the beach hat. Once you are content with your sketch, trace over it with a dark marker or Sharpie. 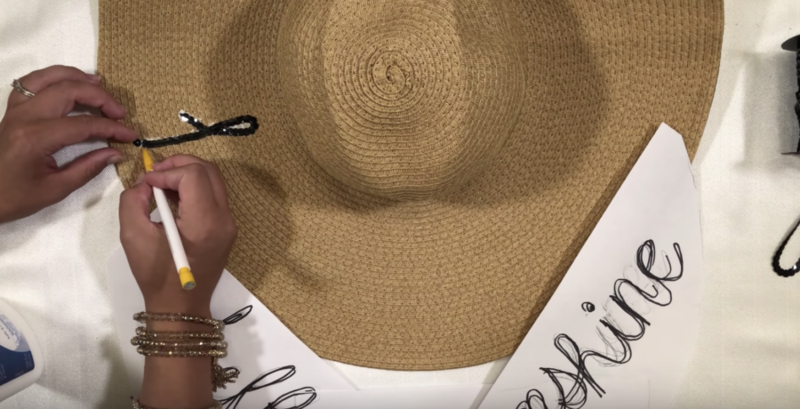 Next, place your template on the brim of your hat, in the exact position where you want your letters to go. Lightly holding the sequins in place over the template, use your other hand to swiftly pull the template out from between the sequins and the hat (think of a man in a talent show whipping the tablecloth out from under a fully loaded dinner table). Then, simply glue the sequins in place. I like using Elmer’s multi-purpose because it doesn’t dry instantly, nor is it visible once it dries. This gives you the freedom to move your sequins around a bit as they dry to get them placed perfectly! However, if you do have a thick line of excess glue on your hat, you should use a damp cotton swab to clean it up a bit. Continue the process by, again, “tracing” the next stroke on your template to get an accurate cut of sequin. Then, place the sequin line on your hat, and, once you are happy with the placement, glue it down. Even though my font was cursive and all of the letters basically connected, I found that it was best to cut out each stroke. Otherwise, the sequins overlapped too much which became bulky and messy. Just a note, you will see in the video that I only physically placed the template ON the hat to get an idea of the placement for the first letter. For the remaining letters, once I had cut the accurate length of the sequin string, I was able to “eyeball” the placement for the font. 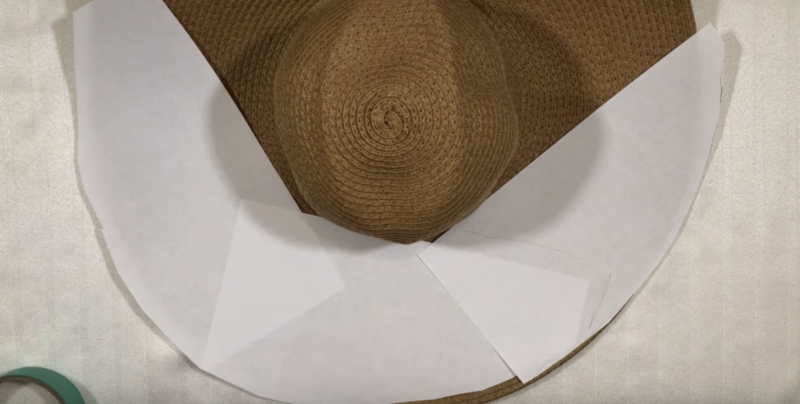 You may choose to place the template back on the hat each time like we did before, but be careful that the wet glue does not cause the paper to stick! I also found it easier to use a mechanical pencil tip instead of my fingers to straighten the sequins. My clumsy fingers seemed to get sticky with the glue and actually pulled the sequins off, whereas the pencil was thin enough to be very precise. 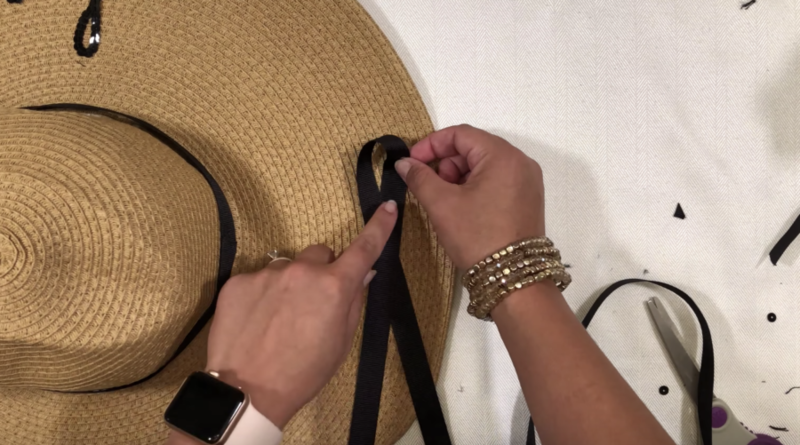 Grab your ribbon, and wrap it loosely around the inner edge of your hat. Cut the ribbon where it meets, allowing an inch or two of “overlap” space to glue it together. Lay the ribbon flat on your work surface, and apply glue to its entire length. 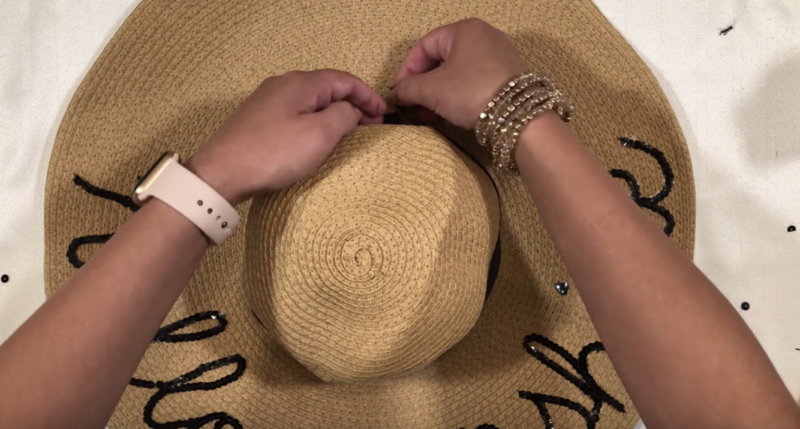 Then, wrap the ribbon around the middle section, using one hand inside the beach hat to apply pressure outwards, to make it stick. 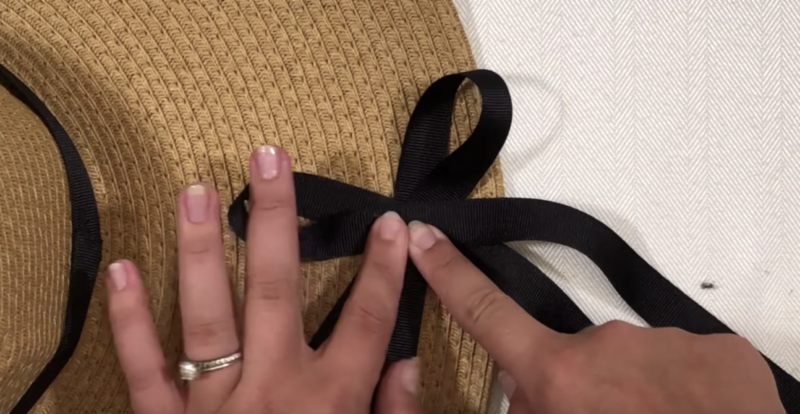 Make sure that the ribbon ‘overlap’ faces the back of your hat. Next, we will create the bow! Cut two lengths of ribbon approximately 13-16 inches long, depending upon how large you prefer the bow. Make sure to trim the edges of the ribbon to a 45-degree angle. Lay one of the ribbons flat, horizontally on your workspace, and bring both ends toward each other. Crossing one end over the top of the other, grab the “intersecting middle” spot where the ribbon connects, and pull the edges down until you like the length. This creates one half (or one “loop”) of your bow. Visualize the shape of the ribbon stickers that people use as bumper stickers, for example. Glue the ribbon together at the center, and put it aside for a minute. Repeat the process with the other ribbon. Next, glue both ribbons together at their glued middle sections, the “loops” facing opposite angles (or away from each other). You should be able to see the bow shape coming together, with two “loops” and some extra flowing ribbons underneath. Cut one more piece of ribbon, this one only about 3 inches long. Apply glue to the entire length, and wrap it around the glued, center portion of the ribbons once more. Clamp this piece together with your fingers until it holds. If the glue is taking a while to dry, or if you’re impatient like I am, you can use a “chip clip” to free up your hands for other uses. We will use this “chip clip clamp” trick again, in the next step. 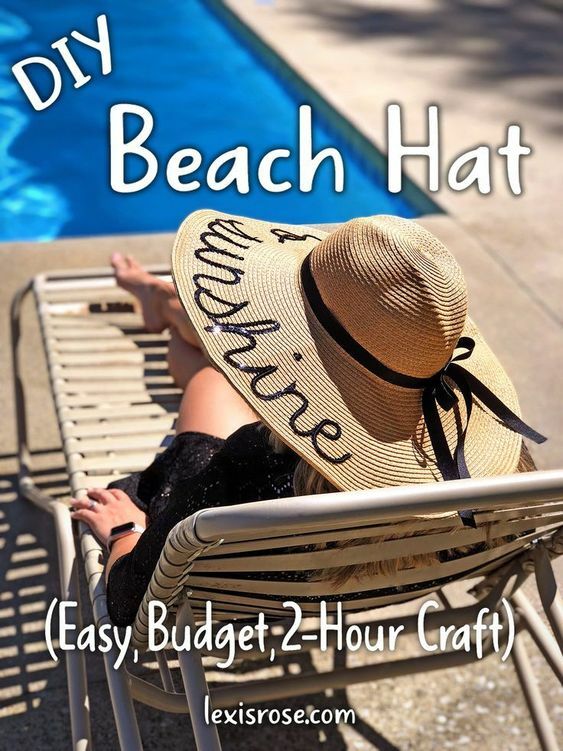 After about an hour, your beach hat should be fully dried and ready to wear! The beach hat I used and recommended above is not washable. The tag indicates it is 100% paper, and to only use a damp cloth to carefully clean. However, even if you personalize a different hat, once you add the decorations, it will no longer be washable, either. Feel free to experiment with any combination of sequin colors and ribbon textures! Be creative with it! If you liked this DIY, be sure to check out my previous one, here! 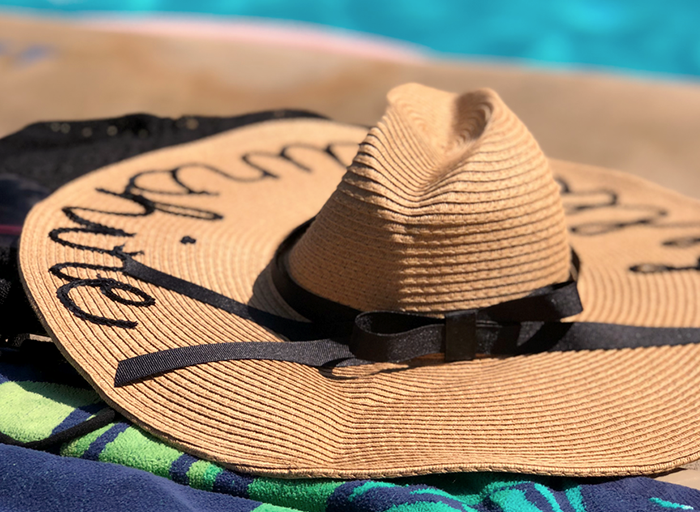 Don’t forget to find me on Instagram so we can keep in touch, and be sure to tag me in any photos you post of your personalized beach hat! I love to see what you’ve created. And, enter your email below to receive notification of my next blog post like this one. You don’t want to miss it!